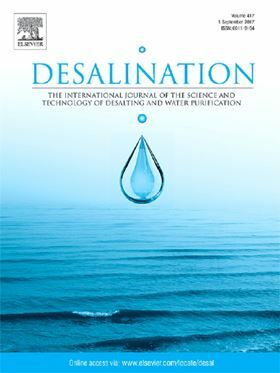 The research paper 'Solar thermal-powered desalination: A viable solution for a potential market' will be published in Elsevier journal Desalination. This paper deals with an assessment of solar thermal-powered desalination technologies in order to identify key issues for developing market opportunities. The topic of selecting the best solar desalination solution is analysed, case by case, considering different scenes: i) Rural communities with limited fresh water demand; ii) Regions with high demands of both, water and electricity and iii) Intermediate water demands. Detailed analyses of solar thermal-driven desalination – i.e. distillation and Reverse Osmosis (RO) - in comparison to solar PV/RO are presented. The quantitative assessment performed highlights that membrane distillation systems, when fully developed, will have market opportunities at very small-capacity seawater desalination systems. Besides that, dish concentrators coupled to micro gas turbines in case of limited water demand is a promising option. A single unit could produce about 10 m3/h of fresh water from seawater and several units could be coupled to drive the same desalination plant. Moreover, the only stand-alone systems with market opportunities for intermediate water production are based on reverse osmosis driven by parabolic troughs or linear Fresnel concentrators by means of organic Rankine Cycles. Finally, water demands over 25,000 m3/d require both, a solar power plant and a reverse osmosis desalination plant. It is estimated that >840,000 end-of-life reverse osmosis membranes modules are discarded annually worldwide. Drinking water treatment plants based on groundwater may suffer from incomplete ammonium removal, which deteriorates drinking water quality.